Best Ingrown Hair Products 2019 - The Ultimate Kit for Smooth Skin! Will an Ingrown Hair Heal Itself? What is The Best Treatment for Ingrown Hairs? Does Waxing Prevent Ingrown Hairs? You’ve epilated, shaved and waxed your hair away but a couple of days or weeks later, you’re face to face with ugly bumps known as ingrown hairs. Where did the once satiny smooth and hair-free skin go?! Don’t worry girl, you’re not alone! In fact, almost everyone who subjects themselves into some sort of hair removal gets them too! Annoying as it may sound (and feel), ingrown hairs are totally preventable and treatable with some of the best ingrown hair products! Ingrown hair is a form of skin irritation that happens when dead skin cells block hair follicles, leaving no choice for the hair but to curl up and grow inwards resulting in annoyingly itchy bumps. Some people may either see red, pus-filled bumps or may directly see the hair buried underneath a thin layer of skin. Though this may happen to anyone, people with coarse and curly hair and those with elevated hormones (brought by certain conditions such as Hirsutism and PCOS) are more predisposed to getting ingrown hairs. Often times, ingrown hair clears on its own, but aggressive scratching causes tiny scrapes on the skin that can become an entry point for bacteria leading to infection. You may be surprised to see that the once teeny tiny bump transformed into something bigger… a cyst. The area became red and swollen (cyst). You may see pus inside the bump or oozing outside. By now you’re probably asking – how do you get rid of an ingrown hair cyst? If you experience any of these symptoms, it’s best not to take matters into your own hands and to consult a doctor instead. Your doctor may make a small incision to help drain the infection and pull out the troublesome ingrown hair. He/she may provide you with oral antibiotics and/or topical ointments to heal the infected site, reduce swelling and avoid further infection. Retinoids are also recommended to slough off dead skin cells and renew damaged skin. Is exfoliating good for ingrown hairs? YES! It’s the key to avoiding ingrown hairs. Exfoliation is a process of removing dead skin cells that not only cause ingrown hair but can also dull the skin. Chemical peels/products that may contain either salicylic acid, glycolic acid or retinoid, for example, products by Tend Skin. Over the counter acne ointments containing Benzoyl Peroxide. Exfoliating mitts, towel or body brushes (dry brushes are also a good option). Exfoliating scrubs like sugar scrubs and spa sea salts. To alleviate any discomfort or itchiness brought by ingrown hairs you may also apply natural products such as Aloe Vera Gel to soothe itchiness and Witch Hazel Extract or Tea Tree Oil to combat infection. Warm compresses may also help open up your pores and free the trapped hair using a pair of nifty, pointed-tips tweezers. No, it doesn’t. Regardless of whether you shave, wax or epilate, you are still going to be prone to getting ingrown hairs. The only hair removal methods known to minimize the risk of getting ingrown hairs are IPLs, Electrolysis, and…depilatory creams (surprised, eh?). While products are available to help treat ingrown hairs, the best thing you could do is to prevent it from happening. After all, prevention is better than cure, right? Being an ingrown hair sufferer myself (thanks to coarse, curly hair), I’ve collated the best ingrown hair products that you can use to treat and prevent ingrown hairs in the long run. I hate to admit this but, I’d rather have prickly, cactus skin than annoyingly itchy bumps, which by the way, can get in the way of shaving and cause more disaster like nicks and cuts (ouch!). So hear ye, hear ye… my all-time faves to help y’all get rid of those nasty bumps! Ingrown hairs, more often than not, usually cause problems on the legs and armpits. But, of course, there are always exceptions to the rule. Wherever you’ve experienced your ingrown hairs, combine the below products or just buy one of them and you won’t be in constant war with those pesky, lazy ingrown hairs. Want to exfoliate sans the need for harsh chemicals? 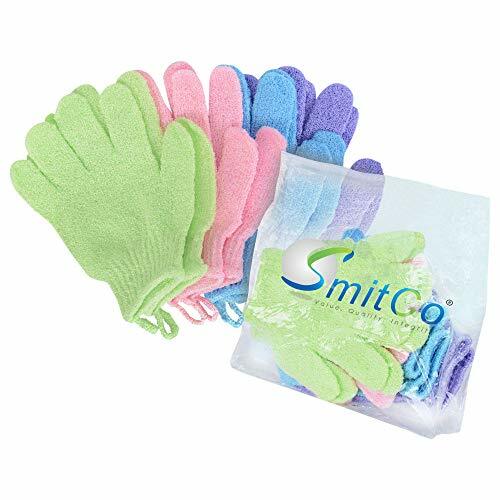 Then these Smitco gloves are for you! For an affordable price, you get 4 pairs of spa quality nylon that can give you a gentle to a more vigorous exfoliation, depending on how much pressure you apply. It’s super effective in improving blood circulation and in sloughing off dead skin cells to prevent ingrown hairs while keeping your skin smooth and bright (especially if you’re tanning after). Can be used with your fave body wash.
Has hoops that you can use to hang the gloves to dry or to keep it accessible in your bathroom. Not big enough to fit people with large hands. Depending on your flexibility, it may be hard to reach your back with these. 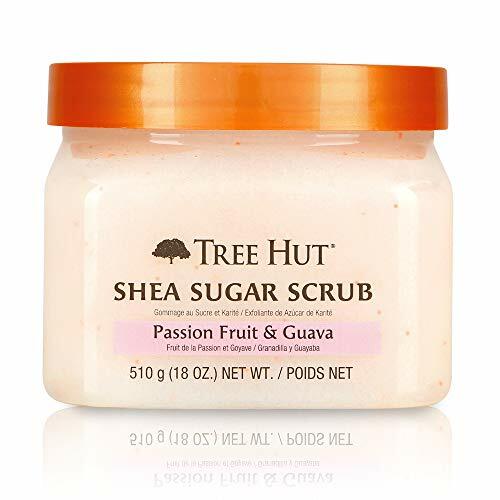 With Tree Hut’s sweet-smelling scrub, you’ll surely feel the love! It offers intense exfoliation without harmful chemicals. Each tub contains vitamin enriched organic oils to moisturize and nourish your skin as the sugar grains gently buff away dead skin cells. You’ll step out of the shower feeling like a glowing goddess! All organic ingredients (Sugar, Safflower Seed Oil, Evening Primrose Oil, Sweet Almond Oil, Avocado Oil, Macadamia Oil and Passion Fruit and Guava Extracts). Exfoliates and moisturizes the skin. Can be a bit messy to use. Your search for the best products to prevent ingrown hairs after waxing and the best products for ingrown bikini hairs ends here. This wonder in a bottle offers ingrown hair protection and treatment in one! Its acetylsalicylic acid content helps minimize the appearance of skin irritations like redness, bumps and ingrown hair caused by shaving, epilating and waxing. Why wait till you get ingrown hair? You can use this amazing product right after hair removal! It’s safe enough to be used on the face, neck, legs, underarms and bikini lines. P.S. The content of the bottle will go by quickly if you’re going to use it all over your legs like I did when I was fighting with strawberry legs. Note: Use once daily for prevention and twice daily for treatment. Effectively reduces redness, bumps and other skin irritation after hair removal. If you’re putting this on small patches of ingrown hairs, then you won’t need much, a little goes a long way (a bottle will last you a decent amount of usage). No need to buy separate products to treat and prevent ingrown hairs. Did I say it’s effective already? Allow me to say it again, it really is! I used to get lots of bumps on my legs from using an epilator, but now I get just one or sometimes none! Isopropyl alcohol content may be a bit drying, so moisturize after the applied solution dries. Desperate times call for desperate measures. If you have an existing ingrown hair that’s been annoying you for days, simply apply warm compress on the area and use this baby to pick up the annoying strand. This tweezer has a pointed stainless steel tip designed for precision. So whether you’re dealing with ingrown hairs, blackheads, splinters and even tick removal (ugh!) 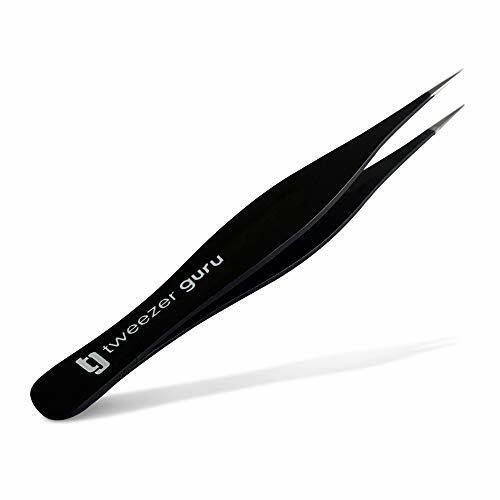 you know that TweezerGuru has got you covered! Note: Do not use on infected ingrown hairs (pus-filled bumps). Sterilize before using. Made with stainless steel that can surely last you a lifetime. Plucking ingrown hair may seem so satisfying with this product, you won’t be able to stop yourself (mine is permanently placed on top of my bedside table. I know, don’t judge me!). Looking for the best product for razor bumps and ingrown hairs? Do you want to avoid, eliminate or lighten the nasty marks ingrown hairs left behind? Look no further because PFB Vanish Roll is here! 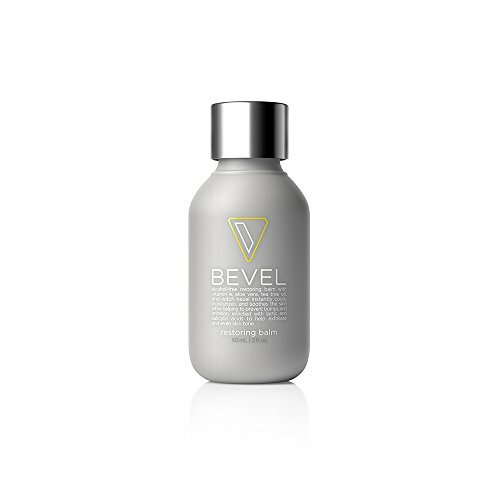 Its amazing gel formula is made up of ingrown-fighting powerhouses such as salicylic acid and glycolic acid known to exfoliate and renew the skin while lifting the embedded hair out to where it should be, and Lactic acid to soften the skin. PFB’s formula is safe enough to use daily even on your most sensitive areas such as face, underarms and bikini line. Say hello to brighter and softer skin daily and bid ingrown hair Adios! An effective formula to treat or prevent ingrown hair. Renews skin and lightens dark marks or scars caused by ingrown hairs. Might be too drying for people with sensitive skin. Now, on to a more sensitive part of the body. I’m stealing this one from the men’s section! This amazing balm is the perfect ending to your face shaving sesh (aka dermaplaning). It applies like a dream, non-greasy but moisturizing and refreshingly cooling sans the sting! Made with the powerful combo of Salicylic Acid and Lactic Acid to exfoliate dead skin cells and even out skin discoloration caused by pesky ingrown hairs, you’ll feel like a new person every day! P.S. You can use this on your body too! Contains Aloe Vera and Witch Hazel to soothe skin and for anti-inflammation. Has Salicylic Acid and Latic Acid for safe and gentle skin exfoliation. Has a cooling sensation to help soothe skin irritation. Safe enough to use daily. You’d be so amazed by the product that you may consider buying the Priming Oil (link to Amazon.com) as well! To hasten the exfoliation process, using a super gentle facial brush is a must. 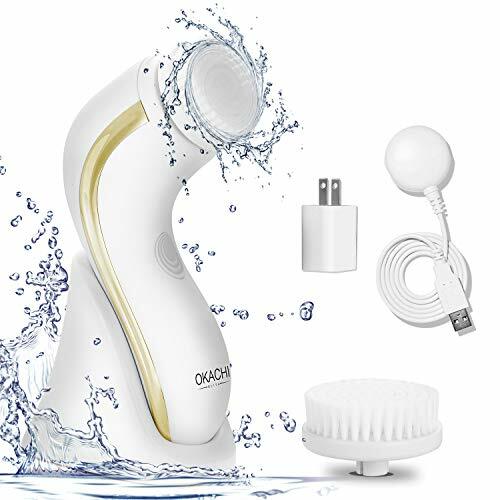 This Okachi Gliya Facial brush boasts with smart technology and amazing features to compliment your hair removal process by preventing dead skin build up through gentle exfoliation. Made with super fine and soft bristles, it can brush away skin impurities that may clog pores and cause not only ingrown hair but also blackheads, whiteheads, and acne. You may choose from four of the available cleansing modes depending on your skin care needs. This amazing device comes with its own base and charges wirelessly (I’ve never seen that in a face brush before!). It’s definitely worth its price! Note: Safe enough to use daily. Wireless charging (oh, hello technology!). Made with 20,000 ultra fine and uber soft bristles that clean and exfoliate the face. Has its own stand base. A bit expensive but is a good investment. Looking for more facial pampering products? Read this article for the best microdermabrasion machines for home use. And read this article for the best at-home facial steamers. Getting ingrown hair can be annoying, embarrassing and even painful, but the good news is, it’s totally preventable and treatable! With the help of the products mentioned above, you too can minimize the risk of getting these ugly bumps and erase any marks that it may have caused. If you are getting it quite often though, you might want to reconsider your hair removal method and try other ways to lessen the risk of ingrown hairs. If you need more information on alternative hair removal methods, you may check out my past articles on Nair vs shaving and some of the best laser hair removal machines for home use, to give you an idea on how these products work in minimizing ingrown hairs and help you decide which one to try next. Have you experienced getting ingrown hairs in the past? What are your go-to products? Share them with the gals by writing your comments on the box below. Till the next article!